Through the end of 2017, Worldbuilding Wednesday themes are going to coincide with the chapters for my forthcoming workbook, The A-Zs of Worldbuilding, which is now available for pre-order! Using the theme is not required for participation, but is just a jumping point if you don’t know what to start with. There is no giveaway winner for last week. 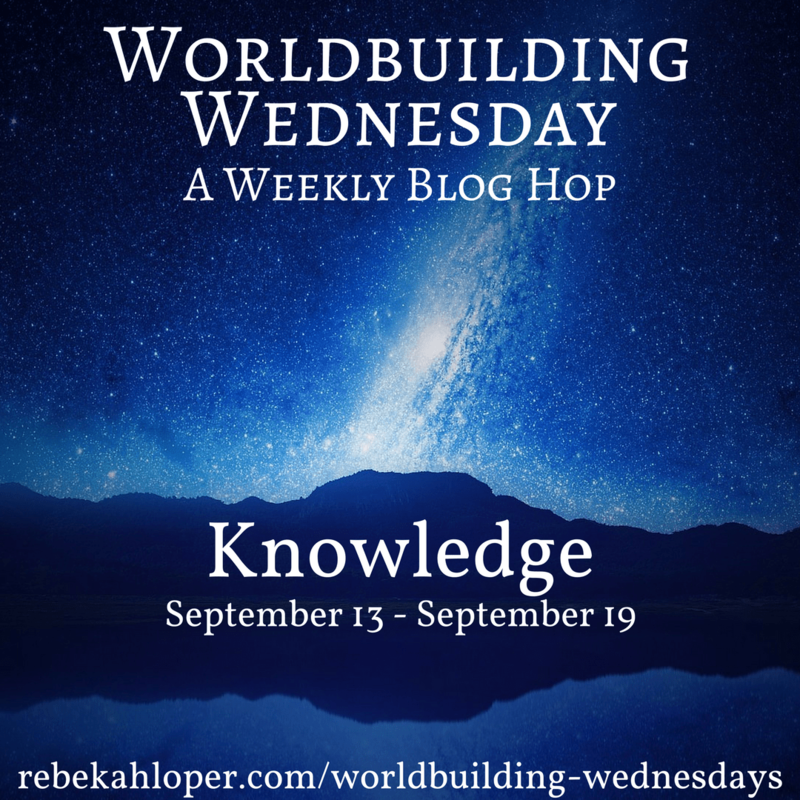 If you’d like to receive an early preview of the Worldbuilding Wednesday theme each week (going out on the Sunday prior to the new topic), please sign up for my newsletter and mark that you’d like to receive the Worldbuilding Wednesday Reminders. Feel free to grab this badge for your post! The amount of information accumulated affects how a society and culture grow, and there are three main ways knowledge can be dealt with: the pursuit of it is encouraged, allowed, or forbidden. How a society deals with knowledge can be a key point in helping you figure out how it is governed – whether it allows liberty, grants the illusion of liberty, or is actively oppressive. There are many examples of how knowledge is controlled, manipulated, and often simply drowned in misinformation and entertainment in our current political climate, both in the US and around the world. You shouldn’t have any problem finding examples that you can use for inspiration. How much does each culture know about your fictional world? How is that information stored? How is information passed on? Are there schools, private tutors, or is it a community responsibility around other necessities? Can’t wait to see your response posts – don’t forget to submit them in the link list below! Please review the rules and guidelines for Worldbuilding Wednesday before participating. Thank you! And if you aren’t participating in the blog hop, but still enjoyed this post, please comment and share! Previous The A-Zs of Worldbuilding – Ebook Pre-order Special! Loved writing about the ‘Knowledge’ topic. Hope we have lots of participants this time. Will have to go on Buffer to share my Worldbuilding Wednesday post and yours.